PSA: YOUR HEART NEEDS ATTENTION. We are all well aware that the heart is the most critical muscle in the body. In fact, it’s what keeps you alive. Your adult heart beats approximately 100,000 times each day—that’s 60–100 beats a minute at a resting state (according to the American Heart Association). Always adjusting to your ever-changing demands for more or less blood, it’s safe to say your heart is the hardest working muscle in your body, so it’s crucial to give it your attention and a little TLC. Now, let’s refresh our memories with a fourth grade science lesson. Your heart is a muscle that pumps blood throughout your body via arteries and veins (a.k.a. blood vessels). The left side of your heart sends oxygen-rich blood out to your body, circulating through every cell in less than 60 seconds. Then, the returning blood enters the right side of the heart, which pumps the blood into your lungs for a little cleansing before sending it back out. Your heart rate is the number of times your heart beats per minute. At a resting heart rate (60 beats per minute to 100 beats per minute), your heart is pumping the lowest amount of blood you need, because you might be sitting or laying down and feeling relaxed. When you’re exercising or being active, your heart rate increases, allowing your heart to satisfy your body’s need for more oxygen. As obvious as it may seem, maintaining a healthy heart will help you keep your body strong, no matter what stage of life you are in. If you are younger, getting comfortable with simple steps that help take care of your heart can be beneficial in the long run. If you are older, knowing how to take care of your heart can help you make sure it isn’t working too hard and reduce your risks of cardiovascular disease. The first step in taking care of your heart is getting to know it a little better. As self-regulating as your heart may be, there are many psychological, physiological, and environmental factors that can affect your heart rate (and your heart health). Your fitness level, sleep (or lack thereof), hydration levels, stress levels, and fatigue are all internal factors that influence your heart rate. On top of this, how much caffeine you drink, body and environment temperatures, humidity levels, and even the altitude at which you live can also affect your heart rate. Your heart rate is highly susceptible, so even the slightest changes, for example, anticipating a workout, can measurably boost your heart rate! One of the best ways to take care of your hard-working heart is maintaining a healthy diet. This includes cutting back on salt, alcohol, eating more grains, and keeping saturated fats to a minimum (found in fatty meats, high-fat dairy, and processed foods). However, this doesn’t necessarily mean eating grass or tofu for the rest of your life—balance is key! Getting your five-a-day in (eating at least five portions of fruits and vegetables a day) will boost your potassium intake which helps lower your blood pressure. Plus, fruits and veggies contain many nutrients that help keep your heart healthy and lower your cholesterol. Nutritionists and medical experts also suggest a boost in your omega-3 fatty acids, which means eating more fish! For vegetarians, you can get omega-3 fats from walnuts, spinach, wheat germ, pumpkin seeds, and more! As you know, exercise makes your heart stronger. Exercising helps your heart pump more blood with each heartbeat, delivering more oxygen to your body and, in turn, making your body function more efficiently. Exercise can also lower blood pressure, reduce the risk of heart disease, and reduce your levels of low-density lipoprotein (bad cholesterol). Exercise also raises your levels of high-density lipoprotein (good cholesterol), which can help carry fatty deposits out of your arteries. By exercising, you’ll also build lean muscle and burn calories faster. The National Heart, Lung, and Blood Institute also suggests that moderate-intensity aerobic exercise for at least two-and-a-half hours a week, or vigorous aerobic exercise for one-and-a-half hours a week are an ideal exercise routine—but keep in mind, everyone’s body is different! Taking care of your heart not only keeps your body functioning properly, but it can help lower your risks of heart disease and other cardiovascular diseases. That being said, the human body is a complex, interconnected system. Think of your heart as the main generator that commands every organ, muscle, tissue, and cell to work in harmony and keep you going. If your heart isn’t successfully providing your body with an adequate amount of blood and oxygen, different functions will be affected. 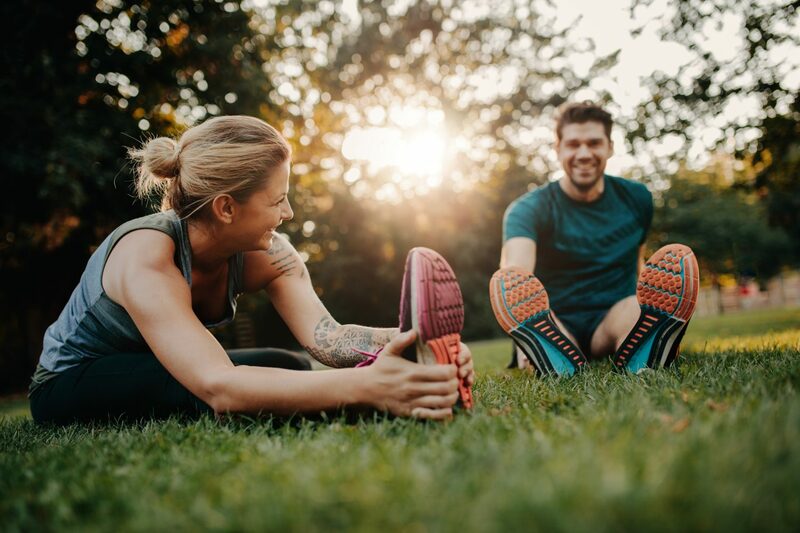 By maintaining a healthy diet and a consistent exercise routine, you’ll give your heart the attention it needs to keep your body functioning at its best. Your description is misleading – this article has nothing useful to say about heart rate training. Is this intended to persuade people not to bother with your emails? I agree with the other comments, how is this article going to help the reader understand training based on heart rate…. I was hoping that it would at least discuss aerobic vs anaerobic and the benefits of training in the lower hear rate zones at the start of the season. I disagree with the above. I assume this article is not meant for people that are ready to exercise, but to encourage people that need an extra push. Keep up the good work. Your diet guidelines are retarded. Ifit is a ripoff and proform customer service is the worst. The article has nothing to do with heart rate zones/training. Disappointed in this article…no real substance. If you are going to wonder off subject, ie. diet instead of heart rate training, at least mention how dangerous sugars are to our health. Also, unless iFit improves over the next 30 days, I will not continue past my free trial. Hi, Marshal! We are so sorry that you felt mislead by the description for this article. We are always looking to improve, and we really appreciate your feedback. This article is the introduction to a three-part series. The second part will be focusing heart rate training and why it matters, so stay tuned! Hi, Angela! We are so sorry that you felt mislead by the description for this article. We are always looking to improve, and we really appreciate your feedback. This article is the introduction to a three-part series. The second part will be focusing heart rate training and why it matters, so stay tuned! Hi, John! We are so sorry that you didn’t find this information useful. We are always looking to improve, and we really appreciate your feedback. This article is the introduction to a three-part series. The second part will be focusing heart rate training and why it matters, so stay tuned! Hi, Lonnie! We are so sorry that you felt mislead by the description for this article. We are always looking to improve, and we really appreciate your feedback. This article is the introduction to a three-part series. The second part will be focusing heart rate training and will include details on each heart rate zone, so stay tuned! Hi, Ed! Thank you so much for your positive feedback, we are always looking to improve in any way that we can. You are correct, this article is the introduction to a three-part series. The second part will be focusing heart rate training and why it matters, so stay tuned! Hi, Bryan! We are so sorry that you didn’t find this information useful. We are always looking to improve, and we really appreciate your feedback. This article is the introduction to a three-part series. The second part will be focusing heart rate training and why it matters, so stay tuned! Hi, Jeff. We are sorry that you did not find the article useful. We are always looking to improve, and appreciate constructive feedback. Stay tuned for Part 2 of this article about heart rate training! Hi, Doug! We are sorry that you didn’t find this information useful. We are always looking to improve, and we really appreciate your feedback. This article is the introduction to a three-part series. The second part will be focusing heart rate training and how to do it, so stay tuned! Hi, James! We are always looking to make improvements and appreciate constructive feedback. This article is the introduction to a three-part series. The second part will be focusing heart rate training and why it matters, so stay tuned! Hi, Shabeet! We are sorry that you didn’t find this information useful. We are always looking to improve, and we really appreciate your feedback. This article is the introduction to a three-part series. The second part will be focusing heart rate training and how to do it, so stay tuned! Hi, Dan! We are so sorry that you felt mislead by the description for this article. We are always looking to improve, and we really appreciate your feedback. This article is the introduction to a three-part series. The second part will be focusing heart rate training and how to do it, so stay tuned!